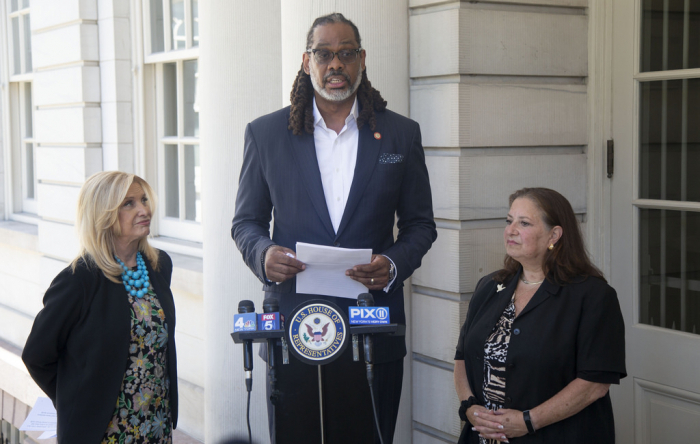 A city councilman from Brooklyn was honored Wednesday at City Hall for reaching new heights and has been named the tallest politician in the world. Standing at 6-foot-10, Robert Cornegy towers over the previous record holder who was a mere 6-foot-7 1/2. 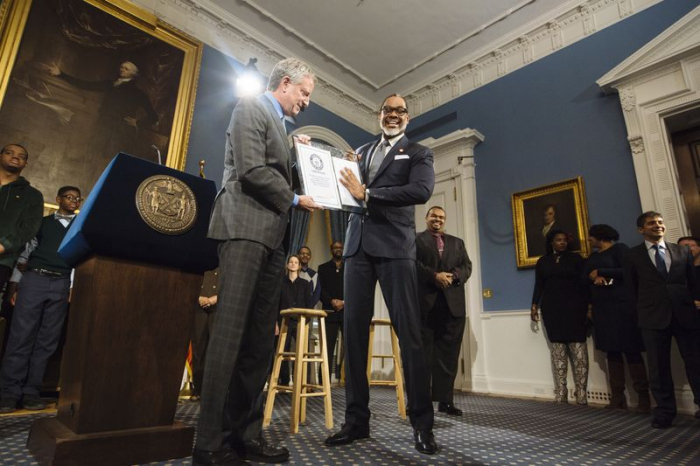 For reference, Mayor Bill de Blasio is also very tall, but he is five inches shorter than Cornegy. The 53-year-old councilman hopes his height will inspire young people. "They may not have the normal physical stature and would still like to make a difference, you can absolutely do that and you don't have to be relegated to a particular part of society based on how you look," he said. "I sit anticipating when that train rolls in whether I can get a seat because I can't stand up on most trains," he said. To officially earn the Guinness record, Cornegy had to be measured in a hospital six different times over the course of one day. Cornegy applied for the Guinness Book of World Records after a constituent joked he was the tallest politician ever. It turns out that constituent was right.